Card catalog at the Providence Athenaeum. Cool treatment on this photo! 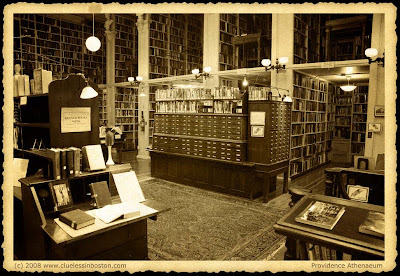 Oh this is a marvelous photo- and I love the sepia-- and the library... it's perfect!